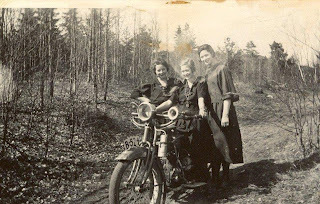 A couple of days ago I was fortunate to get a bunch of very cool motorcycle pictures captured in the early twenties in eastern Norway. To be able to tell the story on all pics there is still some work to be done in talking more with a very nice chap Sverre, borned in 1930. He is the owner of those pics and the one still remembering this old Henderson and the folks it belonged to. 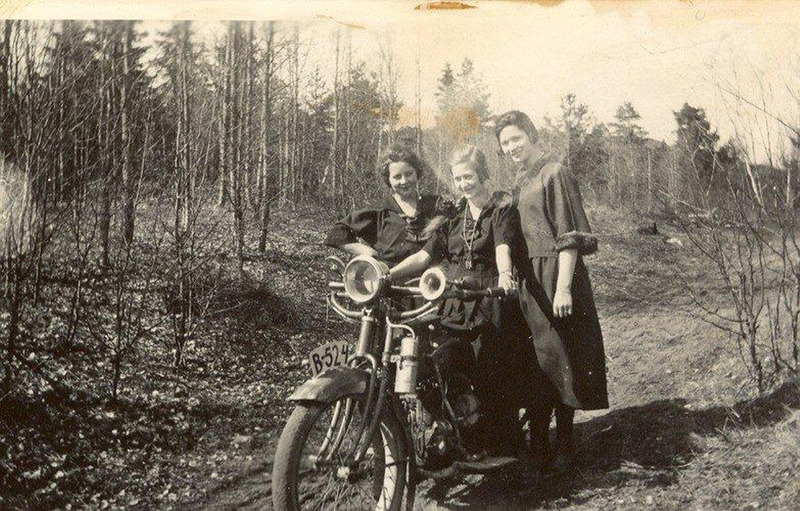 Still I can not resist in posting this image now, enjoy these beautiful girls dressed up in their prettiest dresses on a sunny spring day and of course the Henderson.